Autumn is here! That means it’s time to take out your sparkly little crockpot. I don’t know about you but I love the smell of a yummy hearty dinner slow-cooking in the crockpot for a few hours. The aroma of a delicious crockpot meal fills a house with scents of family-loving. It’s a scent my husband loves to come home to after a long day of work. Crockpot meals will also be a lifesaver when I return to teaching after my maternity leave. I will be able to prep a dish quickly in the morning, set my crockpot on low, and come home to it brewing something delicious in the afternoon. Chris Jr was recently diagnosed with a lactose intolerance therefore I have been eating dairy-free for the past few weeks. Add soy-free and egg-free to the list for this mama! We’ve been trying to figure out how different foods may affect his tummy. 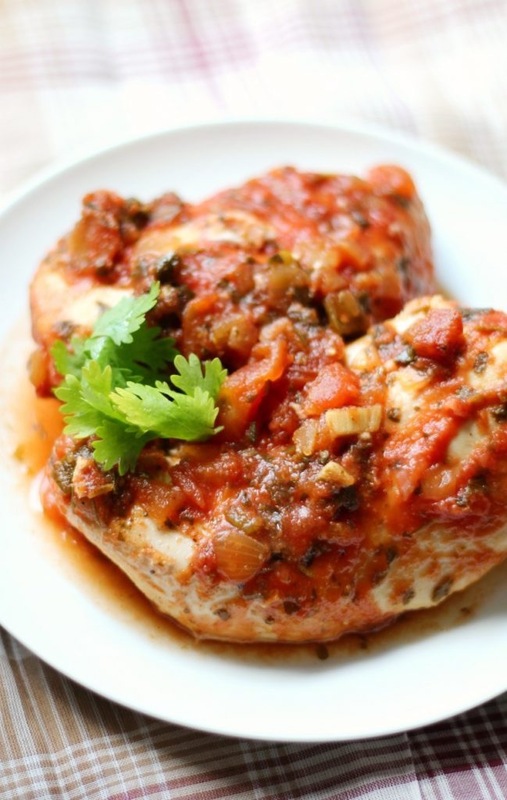 Slow cooker salsa chicken This was one of my husband’s favorites. It goes great with brown rice. 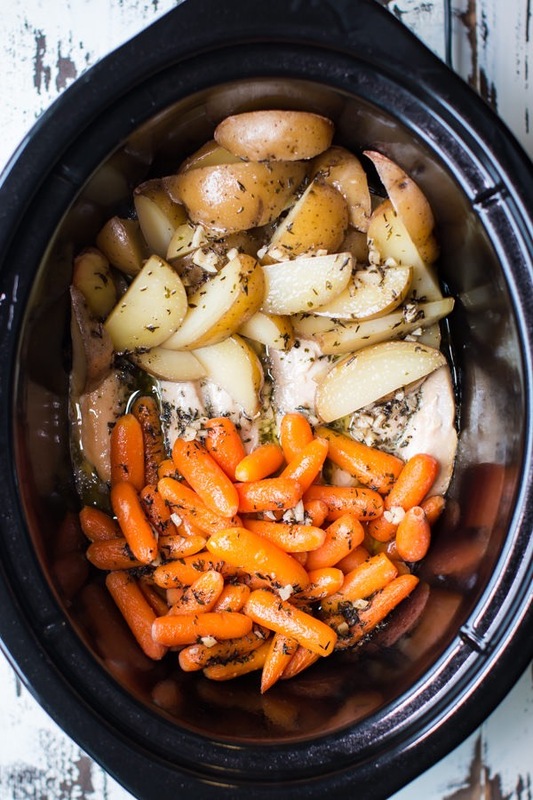 Slow cooker garlic butter chicken and veggies I substituted cooking oil for butter in this one and it came out just as AMAZING! 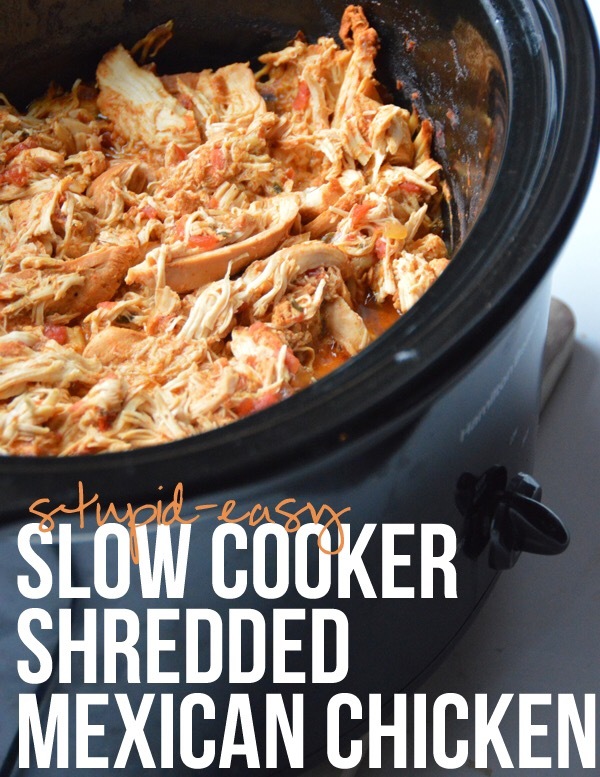 Slow cooker shredded Mexican chicken This is great for a Taco Tuesday night or burrito bowl.